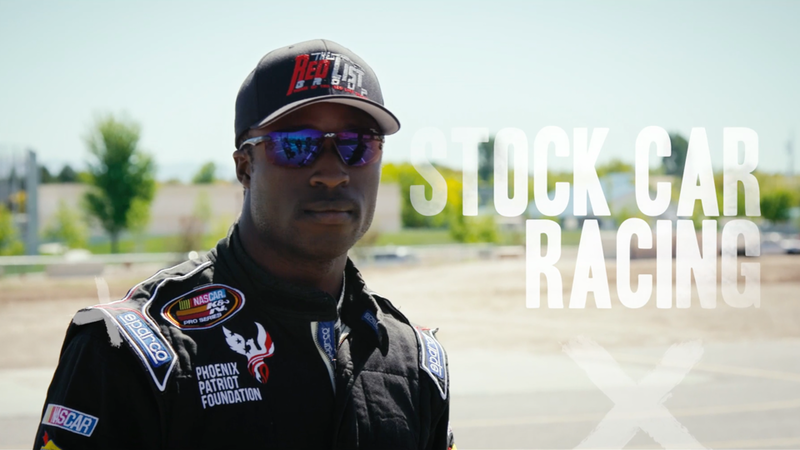 Click the image TO WATCH JESSE IWUJI TEACH OSCAR MIKE HOST RYAN CURTIS HOW TO DRIVE A STOCKCAR! GarageCam hosts Jonathan Merryman and Jesse Iwuji co-host a special edition of GarageCam down in Daytona as the NASCAR XFINITY Series honors our nation's military. GarageCam with Jesse Iwuji during #NASCARSalutes weekend. Jesse Iwuji grants a lifelong wish for a 4yr old with terminal cancer! GarageCam hosts Jonathan Merryman and Jesse Iwuji walk the Sprint Cup Series garage at Daytona International Speedway as drivers get ready for the Coke Zero 400. Salvatore Iovino surprises kids at school! Sal iovino decided to take a quick trip to surprise his kids at school in his racecar!